With less dentist, and more public relations. Today was a great day for me and my career. Exactly 5 weeks from today I will be walking across the stage and accepting my diploma from WSU (well, it'll probably be an nice and empty leather folder). 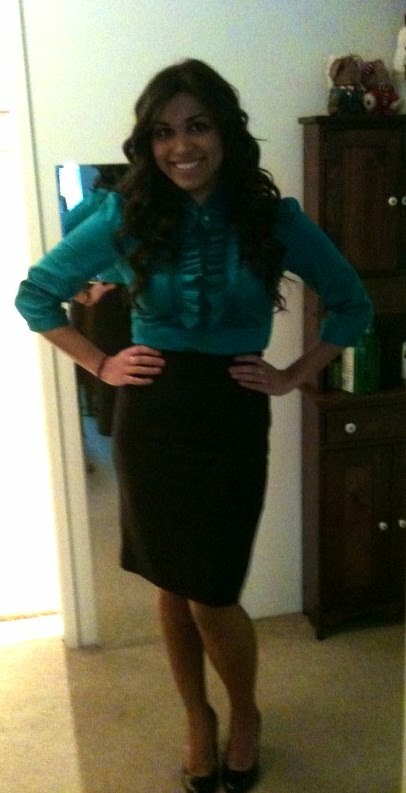 I have been thinking about my career in public relations for the past two+ years, researching and attempting to learn more about the cool companies I would like to work for. 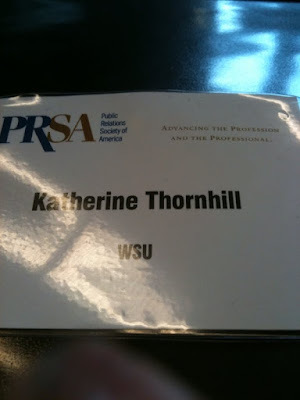 I attended the Seattle PRSA (Public Relations Society of America) chapter's 'Jumpstart2010' conference and learned quite a bit. After interning in an agency last summer, it is amazing how much I feel like I already know about the field. Yes I did fetch coffee and lunch (only once I swear, and for a completely legit reason), but working in a smaller agency I was able to be so much more hands on during my experience. They let me call reporters, draft press releases, briefing documents, sit in on important company meetings and more. Day to day life was exciting, between the press kit stuffing, media list building, google searching and pitching. I even got to do follow up calls! Me, 20-years-old-no-experience-flying-by-the-seat-of-my-pants-eager-to-learn-and-happier-to-be-involved-Katherine, and I'm hounding reporters trying to get them to attend an event all the way in St. Louis. 1. Don't just sit there. 2. Develop a tough skin. 5. Don't give up. Try, try and try again until you get a yes, (or a VERY obvious no). It made me realize that the only thing that is constant in this world is change. Stay focused. Never stop learning.